Netflix has acquired worldwide streaming rights to the Iranian horror movie Under the Shadow, according to Variety. The film debuts today at the Sundance Film Festival as part of their Midnight selection. 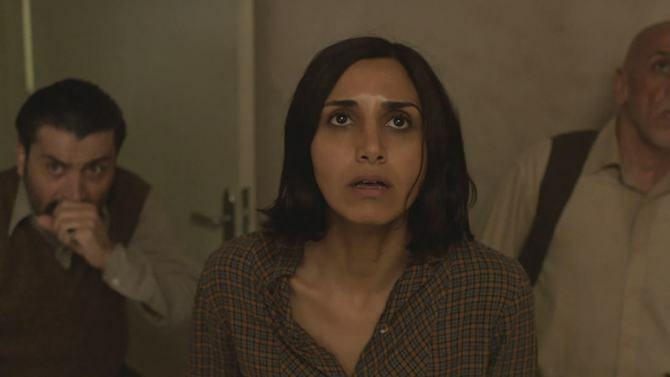 Under the Shadow (which made our list of most anticipated movies of 2016), set in 1988 Iran, follows a mother (Narges Rashidi) and daughter (Avin Manshadi) who are struggling to cope with the terrors of the post-revolution, war torn Tehran. They begin to believe they are being haunted by a mysterious evil known as “djinn” who tries to steal their most prized possessions, including a cherished doll. First time filmmaker Babak Anvari’s Under the Shadow, which is in Farsi, will debut globally on Netflix later this year. According to THR, Avari signed with the William Morris Endeavor Agency (WME) in what is being described as a competitive situation. With all of the buzz this film is generating, we are expecting to see at least a limited theatrical release. More details will be posted as they become available.